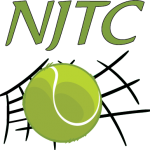 If you or your company would like to sponsor the NJTC 4x4 Tournament, please use this registration form to enter your information, logo, and payment. Logo that you want in the newsletter advertisement. You can submit images and logos later too.